The big Ride Bikes bear is font and center on this killer zip up hoodie. 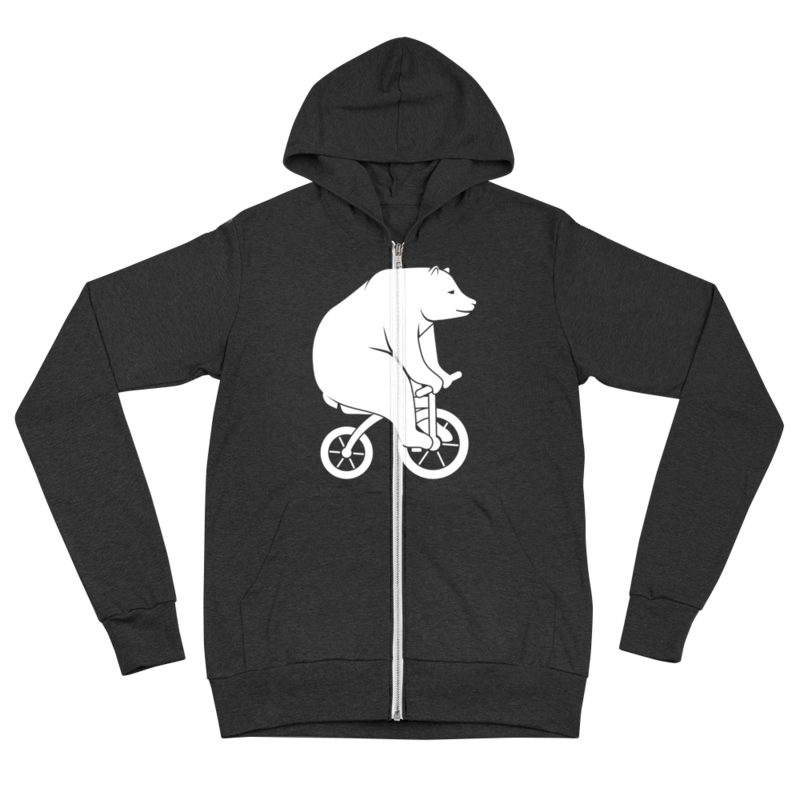 The ride bikes bear is bright white on a dope black zip up and lets everyone know you dope AF. The arms more fitted so if you have big guns and lift hella weights, maybe size up. This more or less fitted zip up features the Ride Bikes bear across the chest. The big bear is on his trike and ready to ride. This zip up hoodie is not as warm as the pull overs but the fit is pretty dope. 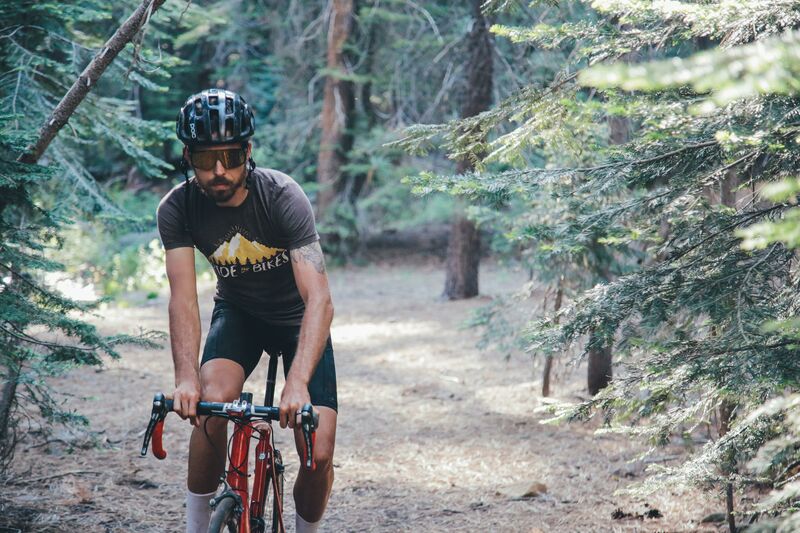 Great for spring or fall and good to ride on the bike with.